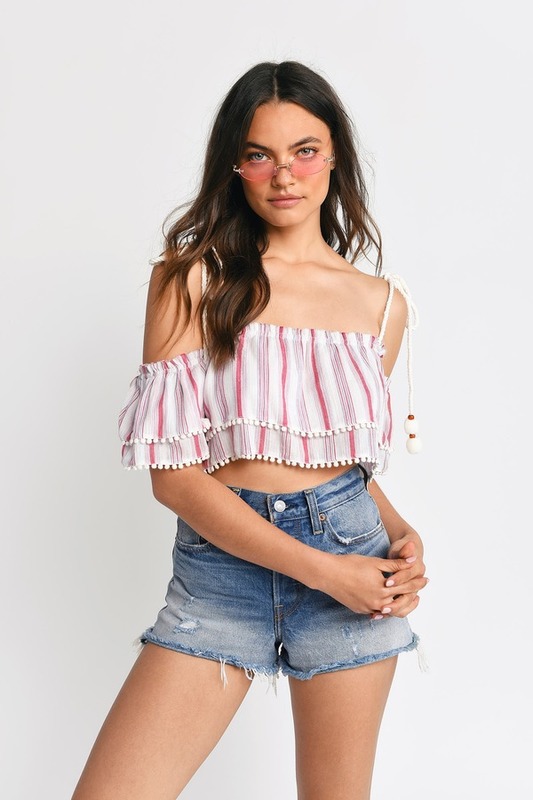 Check out Tobi's Luelle Stripe Tiered Crop Top Be ready for summer with the Luelle Stripe Tiered Crop Top! Featuring a pom pom trim and embellishment, tier detail, and frayed hems on a soft and lightweight rayon weave. 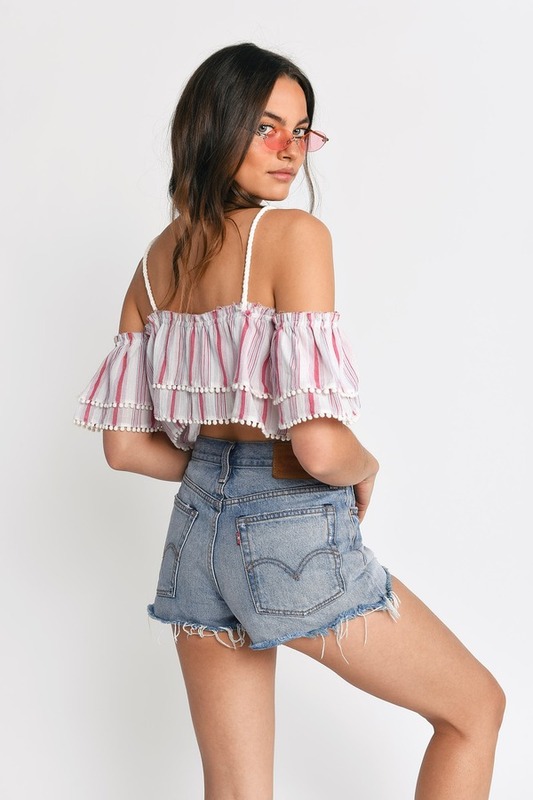 Pair with the Luelle Stripe Shorts to complete the look! 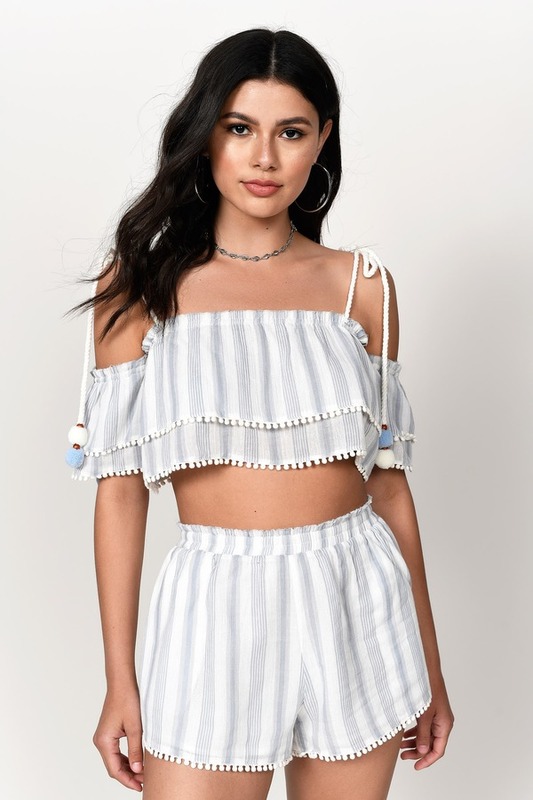 Be ready for summer with the Luelle Stripe Tiered Crop Top! Featuring a pom pom trim and embellishment, tier detail, and frayed hems on a soft and lightweight rayon weave. Pair with the Luelle Stripe Shorts to complete the look!